You are here: Home / New Car Reviews / Subaru BRZ: Lets Drift! 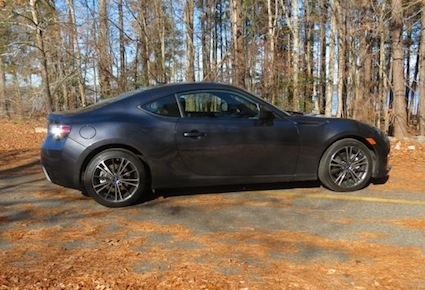 The attainable sports car: 2014 Subaru BRZ. 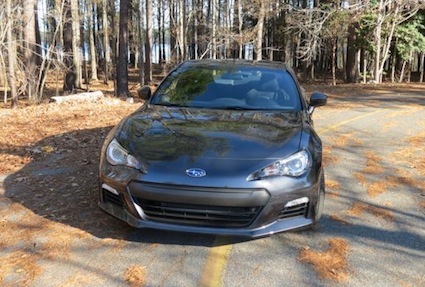 One week with the Subaru BRZ has changed my mind about small, sports cars. Not that my mind had been set in stone mind you, rather I’ve always had my eye on larger and pricier models, well-equipped sports coupes that start around $40,000 and soar in cost from there. Smaller models such as the Hyundai Genesis Coupe or Mazda Miata have not been included in my press fleet rotation so out of sight, out of mind. With the BRZs arrival, I suspect that Its competitors will eventually show up too. The 2014 Subaru BRZ is a sub-$30,000 model and is powered by a four-cylinder boxer (horizontally opposed) engine. Its small footprint, slippery design and the engineering marriage of Toyota and Subaru have produced a model that has opened up a world of possibilities for young people that want rear-wheel-drive performance, but don’t want to pay the price of a Ford Mustang or have to settle for a front-wheel drive Volkswagen GTI. So, where to begin? Behind the wheel of course, because nothing else about the BRZ really matters. Yes, it is that good a sports car that has very good get up and go, a six-speed manual transmission, and the steering/handling that rivals the best of just about anything out there. And with a base price of $25,995 for the BRZ Premium and $27,995 for the BRZ Limited, you will get a hot little number that provides miles of smiles. 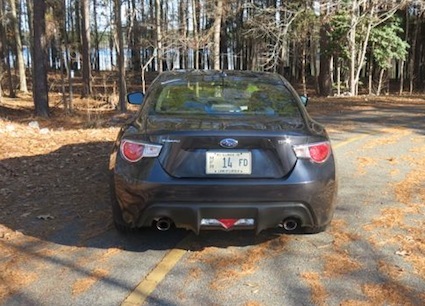 This Subie shares much with the Scion FR-S.
Well take a look at the on-road antics of the BRZ later, but first, we need to understand how this model came to be. After all, Subaru had been selling all-wheel drive models exclusively for 16 years before the BRZ showed up. Moreover, its performance models are almost always turbocharged. The Subaru BRZ is rear-wheel drive and it has a normally aspirated engine. But, normal does not apply here as the horizontally-opposed goodness of the boxer engine holds sway. Toyota has a 16.16 percent stake in Fuji Heavy Industries, the holding company that owns Subaru. That stake made it possible for the two automakers to collaborate, with its first joint vehicle project launched in 2008. As a result of that effort, four years later the Subaru BRZ was introduced as well as the similar Scion FR-S and Toyota 86. Only the Toyota is not sold in North America, to allow Scion to claim its first sports car. Check out the BRZs diffuser! For this arrangement, Subaru provided the engine and platform, Toyota supplied the body shell and suspension as well as the interior and the direct injection system. Yet, this vehicle is built at Subarus plant in Gunma, Japan, where the Scion and Toyota models are also produced. It may not be a 50-50 arrangement, but both automakers were able to bring to the partnership their strengths with Subaru taking the lead in design and manufacturing. The 2.0-liter, 16-valve four cylinder engine is new to Subaru, with the BRZ receiving the first application of the same. Thankfully, the six-speed manual is standard and, yes, if you want an automatic with six forward gears you can have that too but what for? The paddle shifters? The improved gas mileage? 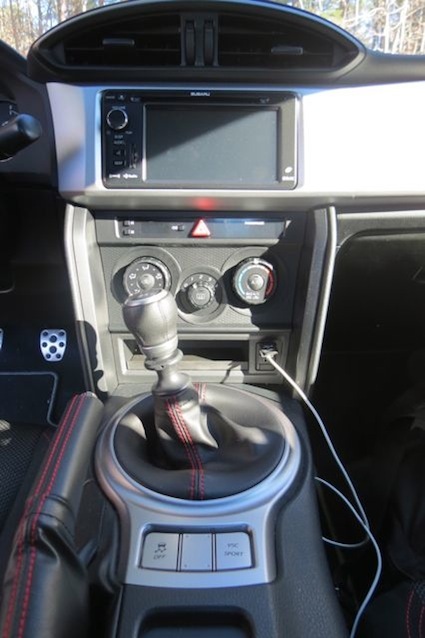 Personally, I find a car like the Subaru BRZ to be pointless when outfitted with anything but a manual gearbox. Yes, I know slush box use continues to rise, but were talking about a sports car not a family sedan! Slip behind the wheel of the BRZ and you go down…way down. Immediately you sense that the layout beckons you to let her fly and that you will. First, take note of the cleanly laid out cabin with its sport bucket seats, the simple instrument panel design with a centered tachometer, and its small, audio display. The interior is sporty, uncomplicated and it is not over run with electronic distractions. Sure, the audio display is a bit too small and a bit wonky, but you can pull out the owners manual and figure that out when youre not zipping around on the back roads. And fortunately for me I was able to get in plenty of back road time, avoiding most of the traffic jams that make manual shifting tedious and avoiding weaving drivers that talk (and text) on their dumb phones while driving. Shift we must: 6-speed manual transmission. Subaru equips the BRZ with summer tires, those loose-gripping sets of rubber that are ideal for enhanced steering. Even as temperatures in my area dropped below the freezing mark I wasn’t concerned by 9 a.m. temps were well into the 40s and the warning to never drive summer tires in cold weather no longer applied. 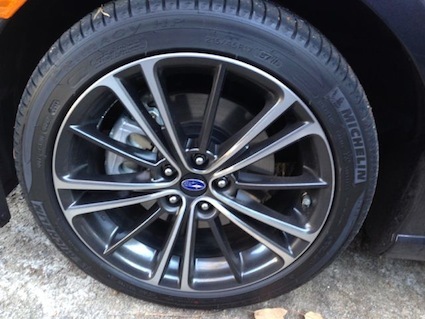 Had the BRZ not come equipped with its Michelin Primacy tires, Im sure I would have felt the difference with regular radials. In most areas of the country you’d need to invest in a set of alternate season tires all-season radials should do it; winter (snow) tires might do a number on your drive. The manual transmission shifts quickly between gears and operates smoothly. I say this because I have become keenly aware that manual transmission use has plunged since I began driving way back when (1975) to where fewer than 8 percent of all cars are stick equipped. Fortunately, the BRZ makes shifting easy too quick throws between gears and a clutch that pops in and out with ease makes it easy for a novice user to master it. Like any stick shifter, the Subaru BZR is best enjoyed on the open road, unencumbered by traffic. I have my favorite back roads to take here in central North Carolina where the city traffic quickly gives way to two-lane roads with speed limits ranging from 45 to 55 mph. Farms and state land dominate the area and in the colder months you can drive miles with only a car or two passing in the opposite direction. This is where the BRZ can be opened up and traction control shut off. And Subaru provides a VSC Sport mode that when activated shuts off vehicle stability control and allows the rear wheels to slip from underneath the coupe when taking tight turns. Lets just say I found the perfect parking lot to put the BRZ through its doughnut paces. Next time, Ill secure some road cones to set up a slalom course. Lets drift! Summer tires are standard with the BRZ. EPA: 22 mpg city, 30 mpg hwy. Jeep Grand Cherokee Limited photos copyright Auto Trends Magazine.